Consumers can find more information on registered manufacturers and where to recycle their covered devices at www.dep.state.pa.us, keyword: Electronics Recycling. Additional recycling information is available from county recycling coordinators, whose contact information can be found on DEP's website, keyword: recycle, or through the Recycling Hotline at 1.800.346.4242. Computers, monitors, tablets, printers, PDAs, cell phones and digital cameras can all be disposed of in an environmentally-friendly manner. Let's keep electronic waste out of landfills. 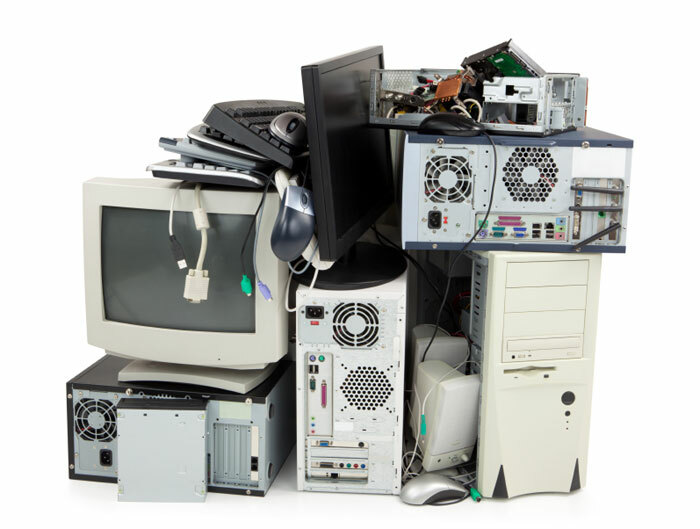 As of January 24, 2013 Pennsylvania prohibits the collection of covered devices, such as computers, laptops, computer monitors, and televisions with trash hauling services and requires that they be recycled under the Pennsylvania Covered Device Recycling Act. Under CDRA, the covered devices and their components must be properly recycled and may not be taken to, or accepted by, landfills or other solid waste disposal facilities for disposal. Covered device: A covered computer device and covered television device marketed and intended for use by a consumer. Covered computer device: A desktop or notebook computer or computer monitor or peripheral, marketed and intended for use by a consumer. Covered television device: An electronic device that contains a tuner that locks on to a selected carrier frequency and is capable of receiving and displaying television or video programming via broadcast, cable or satellite, including, without limitation, any direct view or projection television with a viewable screen of four inches or larger whose display technology is based on cathode ray tube, plasma, liquid crystal, digital light processing, liquid crystal on silicon, silicon crystal reflective display, light emitting diode or similar technology marketed and intended for use by a consumer primarily for personal purposes. Peripheral: A keyboard, printer or any other device sold exclusively for external use with a computer that provides input into or output from the computer.